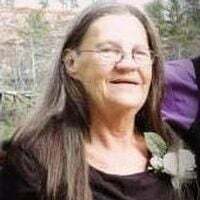 HOT SPRINGS | Helen Kay Iverson, 72, passed away on Dec. 2, 2018. She was born on Dec. 14, 1945, in Carlton, MN, to Walter and Louise (Hoeppner) Young. Helen worked for the Rapid City Journal as a bundle hauler until her final day on this earth. Anyone who knew Helen knew she had a "tell it like it is" attitude, if you wanted the blunt truth that's what you would get from her whether that's what you wanted or not. She was always there to support her family, there was no such thing as a friend, as she considered you family. She would always have your back. A spitfire nonetheless that knew her way into our hearts. Helen married Arvid Iverson on Aug. 3, 1969. Together they raised their three beautiful daughters Paula, Patti, and Rhonda. The family of five took up residency in our town of Hot Springs. Through the years they ran a successful taxi service known as Vet's Taxi as well as a successful tow company known as Iverson Towing. They raised numerous horses and llamas and Helen would always make sure they had plenty of goodies to go around. She was also a dedicated individual, she would always make sure that those in need of food in the Hot Springs and surrounding areas always had enough to eat and were well taken care of. She truly was an amazing woman who will live on forever in our hearts and memories. Helen is survived by her husband, Arvid Iverson of Hot Springs; daughters, Paula (John) Laughlin of Hot Springs, Patti (Dean) Zylstra of Rapid City, Rhonda Iverson of Hot Springs; brother, Bob (Melody) Engebretson of Hot Springs; sisters, Ellen Aguirre of CA, and Genny (Gary) McMath of Pierre; eight grandchildren, Melissa Walker, Brad Walker, Shannon Walker, Jolyn (Tadd) Harder, Joseph "JD" Myers, Gary Bledsoe, Roy Bledsoe, and Tom Zylstra; 17 great-grandchildren, Reese, Dominick, Brooklyn, Oakland, Aaliyah, Jayden, Brynn, Treyson, Karinna, Cameron, Harmony, Ashlin, Kolter, Laura, Adean, Machiah, and Roy Jr.; as well as numerous nieces and nephews. Helen was preceded in death by her grandparents, Max and Augusta Hoeppner; parents, Walter Young and Louise Engebretson; stepfather, James Engebretson; sister, Maxine Vrbka; and grandson, Joseph Reyes. Memorial services will be at 10 a.m. on Saturday, Jan. 12, 2019, at Calvary Baptist Church. Committal services will be at 1 p.m. on Monday, Jan. 14, at Black Hills National Cemetery near Sturgis. the life of: Iverson, Helen K.